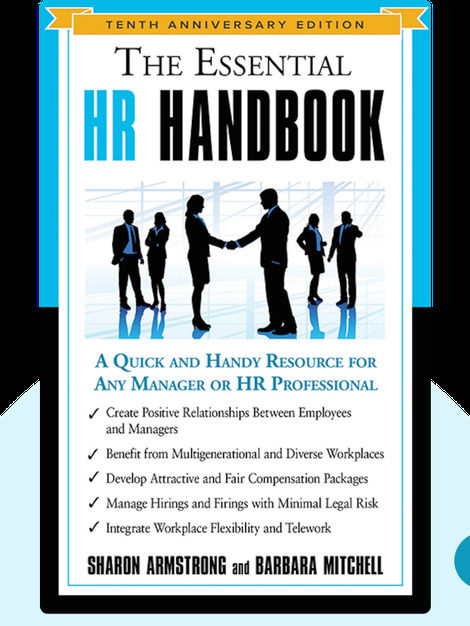 The Essential HR Handbook (2008) is a guide to human resources management. These blinks are full of useful tools and important insights on how to manage your organization’s most important resource: human capital. Sharon Armstrong is the founder of the consulting business Sharon Armstrong and Associates, and works as a human resources consultant and trainer. She is the co-author of two successful business books, as well as the light-hearted Healing the Canine Within: The Dog's Self-Help Companion. 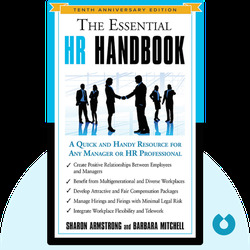 Barbara Mitchell advises businesses on human resources and organizational development. Before becoming a managing partner of the consulting practice The Mitchell Group, much of her career was spent as an HR specialist at Marriott International.